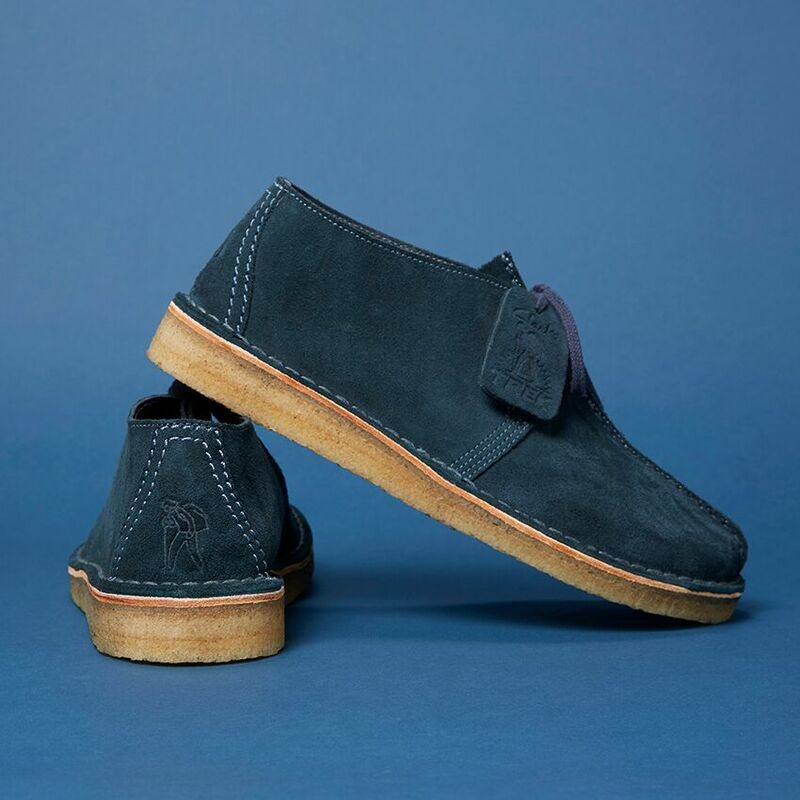 With leather versions due to follow in SS16 this superb suede duo are the first fantastic installments from 6876 and Clarks Originals. 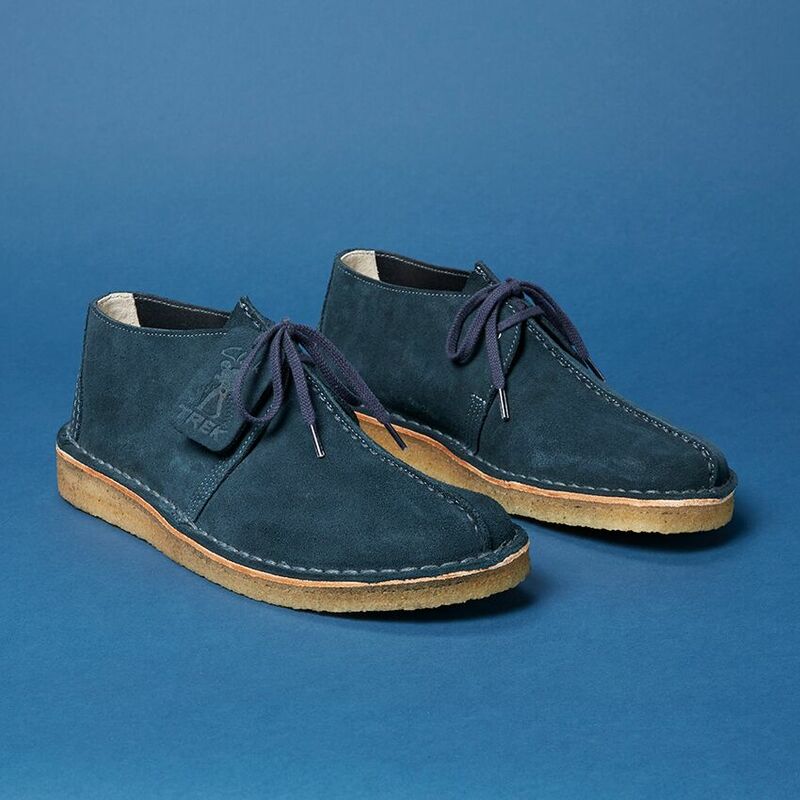 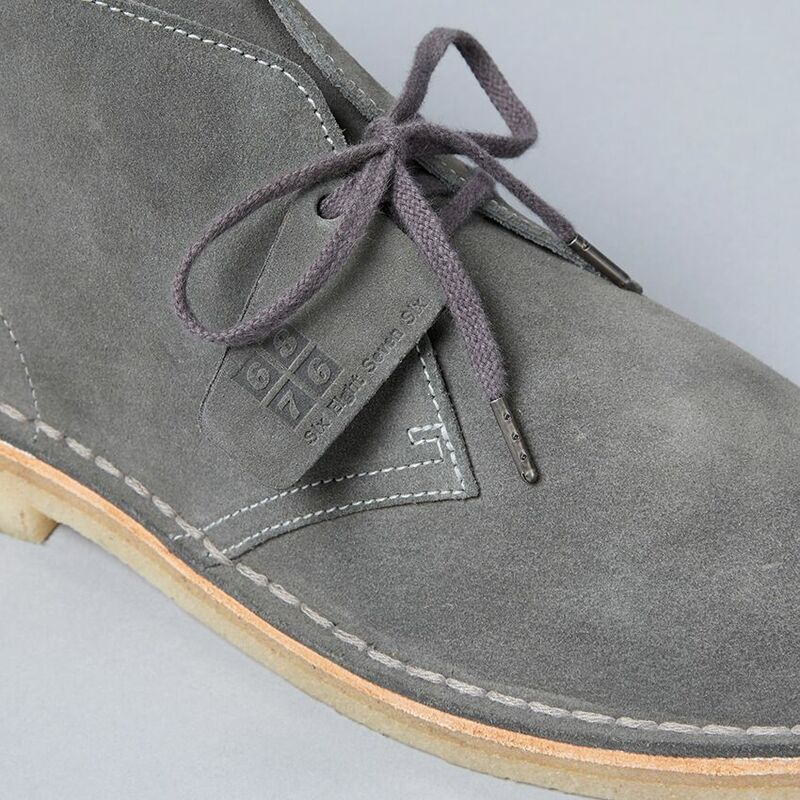 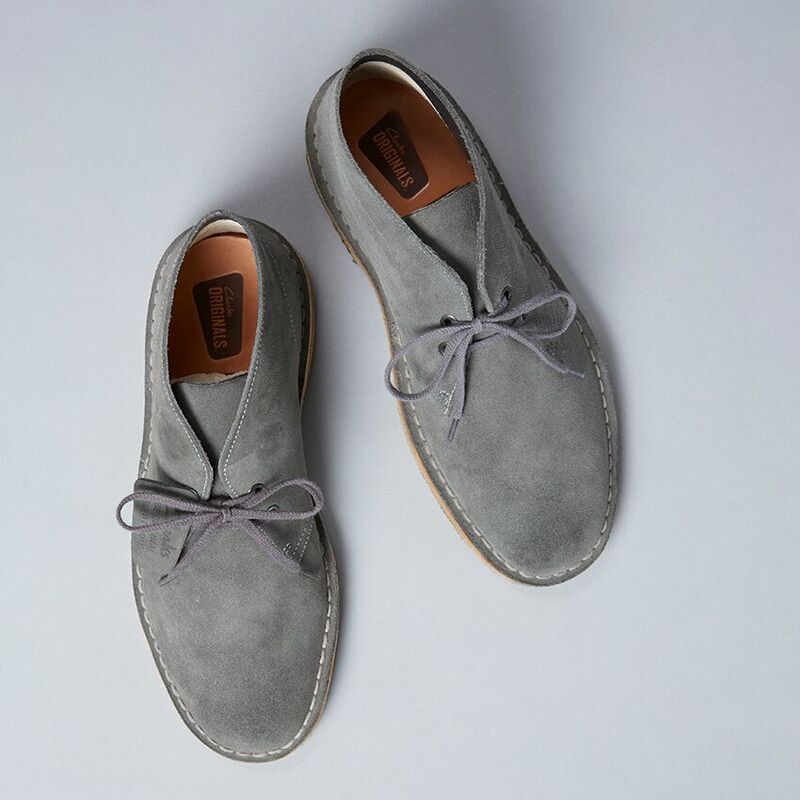 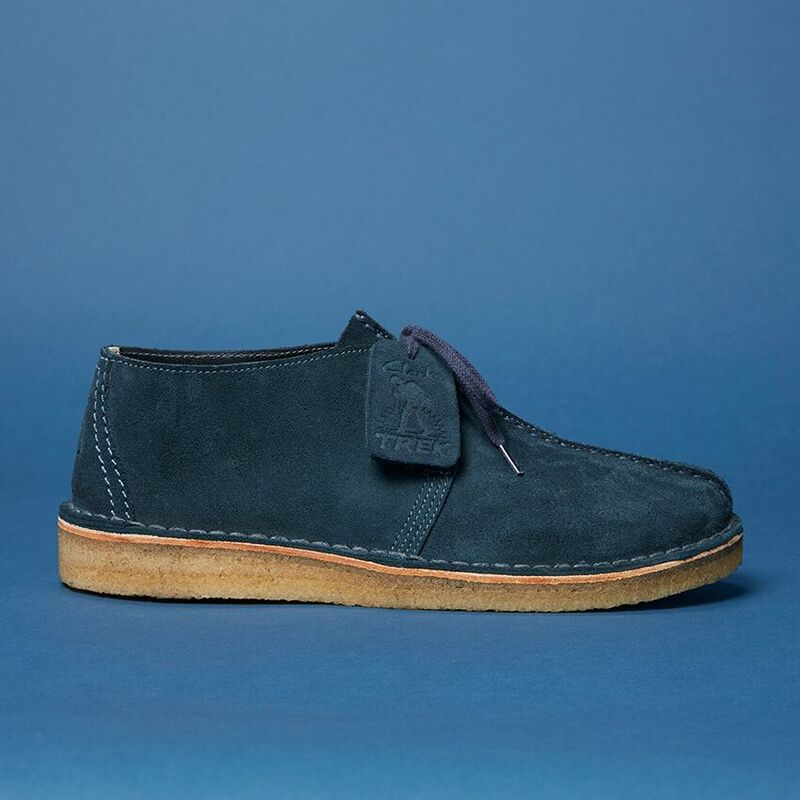 Both the blue Desert Treks and grey Desert Boots have been made using premium steads suede with Clarks & 6876 logos embossed on the veg tan runner boards, handy optional leather laces and the original archival heritage fob. 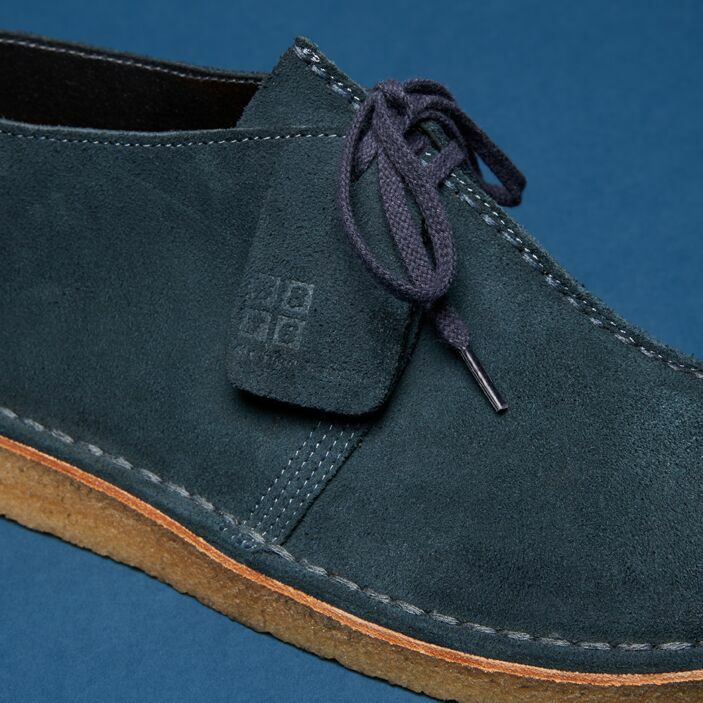 As someone with more than a few pairs of suede shoes stashed away in various rooms/cupboards/boxes about my house, I have to say that these new blue treks are now right at the top of my sacred suede shoe mountain. 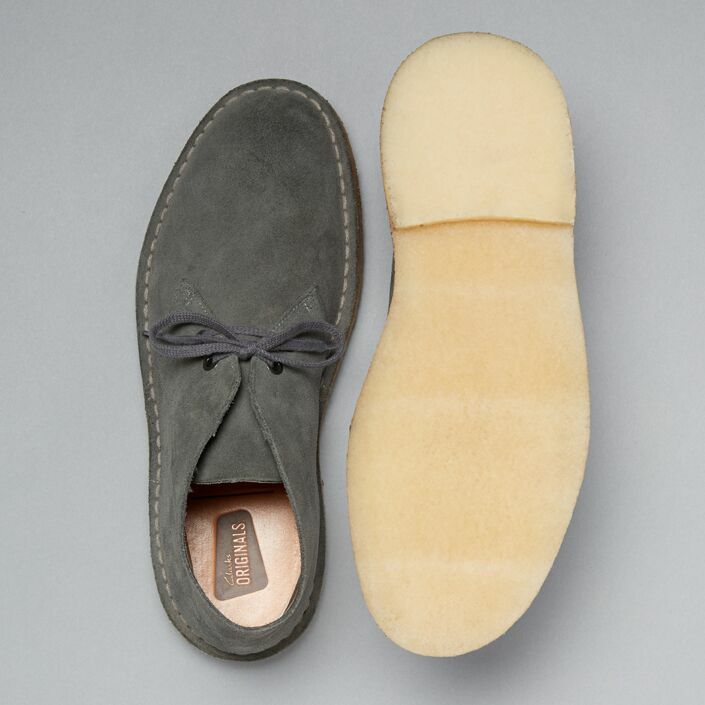 You’re already onto a winner using either of these two silhouettes but it’s the colours used for both that elevate them from mere footwear staples to crepe-soled works of art. 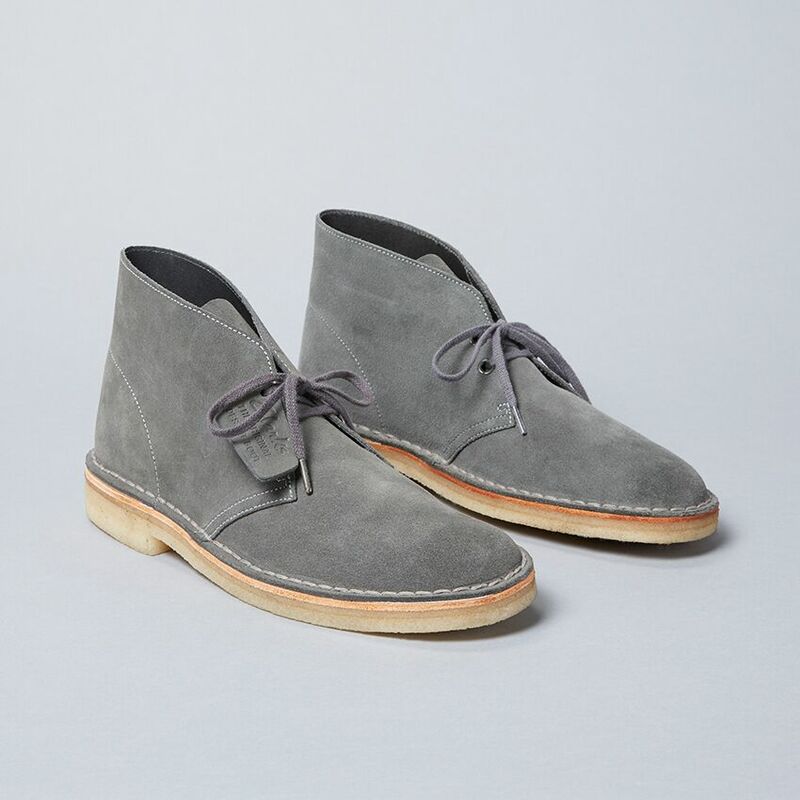 I’m genuinely not sure whether to wear them or frame the fuckers.